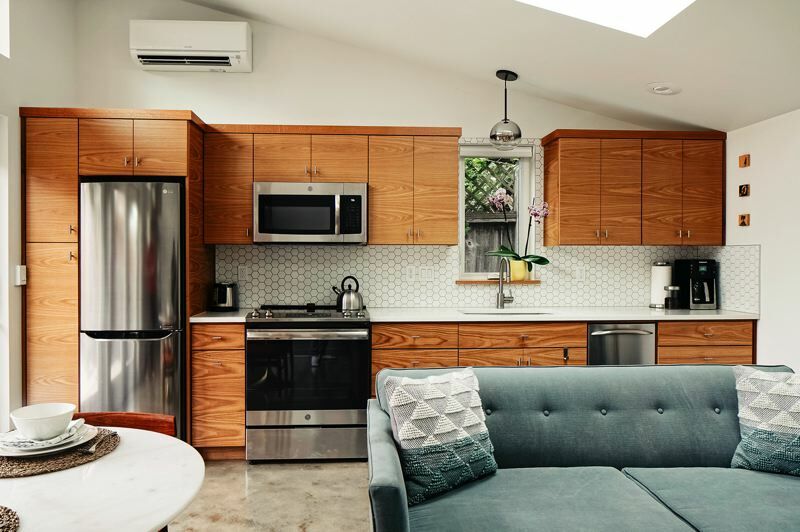 With Portland's population of people 65 and older expected to more than double over the next two decades, many architects are exploring ways to create more age-friendly communities and housing that allows people to age in place. 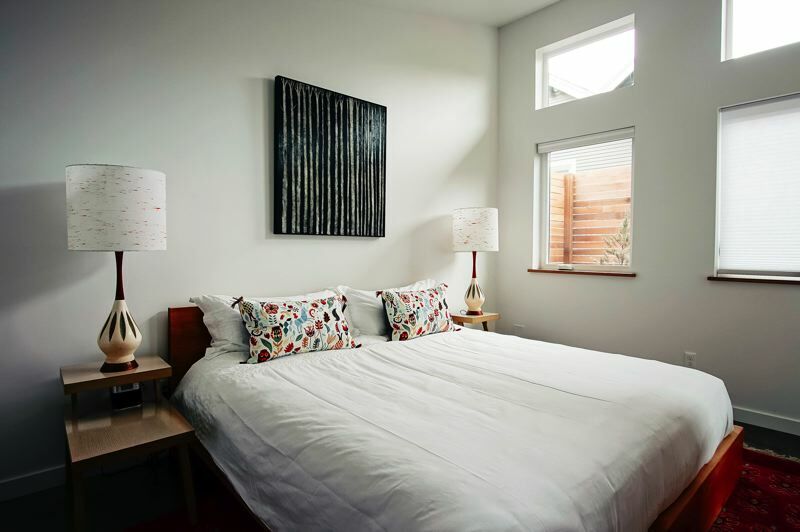 Aging in place, or the ability for seniors to remain in their homes regardless of their physical ability, plays a key role in why the region's market for accessory dwelling units (ADUs) is thriving, according to Tuan Vu, a principal with Propel Studio in Portland who custom designs ADUs for clients. "More than half of the clients talking to us are wanting an ADU with aging in place in mind, and it's either for their grandparents to move in or, in the future, they are thinking about moving into the ADU themselves and downsizing," he said. "As a design firm we have to keep that in mind and make sure all the design elements in the ADU meet the aging-in-place standards." Some considerations include creating a barrier-free transition from outside into the ADU and, in some cases, a small porch where residents can park scooters and other mobility devices. Bathroom design is another critical element, said Vu. "Essentially we try to avoid bathtubs and design a threshold-free shower with concrete sloped to drain the water so they can just walk into the shower area," he said, adding bathrooms should feature additional supports for future grab-bar installations and bathing areas that are larger than a traditional, residential bathroom. "If the grandparents or the homeowners are planning to use wheelchairs later on, we have to think about clearances and that is true for the doors, too," Vu said. Noting that many elderly people are sensitive to hot and cold temperatures, elements such as natural daylighting and shading are important. Additional insulation and a tight building envelope help to control temperatures while improving energy efficiency. Since the maximum footprint of an ADU is 800 square feet, simplicity is essential to the design, Vu said. "Especially for the elderly, it's important to create a simple but comfortable environment, so as part of the design process we try to educate the client as well. We might say, "Hey, you don't really need attic storage and you could create a skylight to let in more natural daylight instead,'" he said. "Education is a big part of our work and that's a part that we really enjoy with our clients. We are working together to come up with solutions that not only meet their needs but also make them feel like they are living large in a small footprint." A new model of aging-in-place housing, the first of its kind in the country, is taking shape along the North Williams corridor in Portland's Eliot neighborhood. When completed in the spring of 2020, The Canyons will provide 70 barrier-free apartments for seniors and others of all ages who want physically accessible accommodations. The six-story building will house commercial space on the first floor and five stories of residential space. Designed by PATH Architecture Inc. and developed by Kaiser Group Inc., The Canyons is being constructed with mass timber and cross-laminated timber and features open floor plans, daylighting and many of the same amenities of independent living communities. The Canyons also will allow residents to partner with nearby businesses to save on services such as dining and health care. Instead of one all-inclusive fee, residents pay only for the services they use. The Canyons' food service will be provided by New Seasons, which is across the street. Residents will have access to health services in the Wellness Room, including visiting nurses, physical therapy, massage, nail care and on-site flu shots. The Canyons also will have a 24-hour, medically trained concierge. Ben Kaiser, owner and principal of Kaiser Group, said his team is already looking for sites for two more similar developments. With waiting lists at all of the best elderly housing projects, it is clear that more needs to be done to provide affordable, quality housing as Portland's aging population grows. He estimated that, based on the country's population, 20 people in the Rose City retire each day, for a total of 7,300 people per year. "We are all realizing that we need to do better when it comes to taking care of our elderly. The Canyons is a re-imagining of the American family. We are instilling into The Canyons what continues to exist in other cultures; multigenerational learning, and caring, with a focus on well-being, health and communication," he said. As an example, the ground floor is going to be The Canyons Montessori School. During the day it will utilize the principles of Montessori learning for the young people, and in the evening these same principles will be used to capitalize on the wisdom and curiosity of the residents living above, Kaiser said. "All of these facets will work in concert to cultivate community, caring and continued curiosity, in our students, our staff and our residents." As he approaches architecture for aging in place, Kaiser said some key elements include ensuring accessibility while maintaining high levels of design and applying the attributes of Blue Zones, which are regions where people have fewer diseases and greater longevity than other regions. "We are working hard to apply the principles of living longer, healthier lives to a building type and its programming," Kaiser said.